The Shoshoni, also spelled Shoshone, are a Native American people with four large cultural/linguistic divisions: (1) Eastern Shoshone, Wyoming; (2) Northern Shoshone, southeastern Idaho; (3) Western Shoshone, Nevada and northern Utah; (4) Gosiute: western Utah and eastern Nevada. 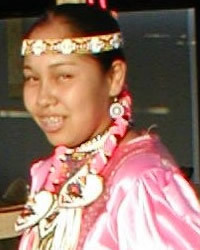 They are found in many states with Utah and Wyoming having the largest concentration of Shoshoni people. Shoshoni have preserved much of their traditional lands and retain their traditional ceremonies, holding the annual Sun Dance on the Wind River Reservations in Wyoming. Tribal members also host annual powwows, and continue to engage in sweat ceremonies to pray for individuals, families, or the tribe. A large percentage of Shoshoni adhere to either traditional ethnic religion with another percentage being Mormons. A smaller percentage, less than 5%, are evangelical Christians. Pray God will work in the lives of unreached Shoshoni via dreams and other means to know Christ is the way, truth, and life for all people. Pray God will revitalize evangelical Shoshoni churches to plant more churches among unreached Shoshoni people.